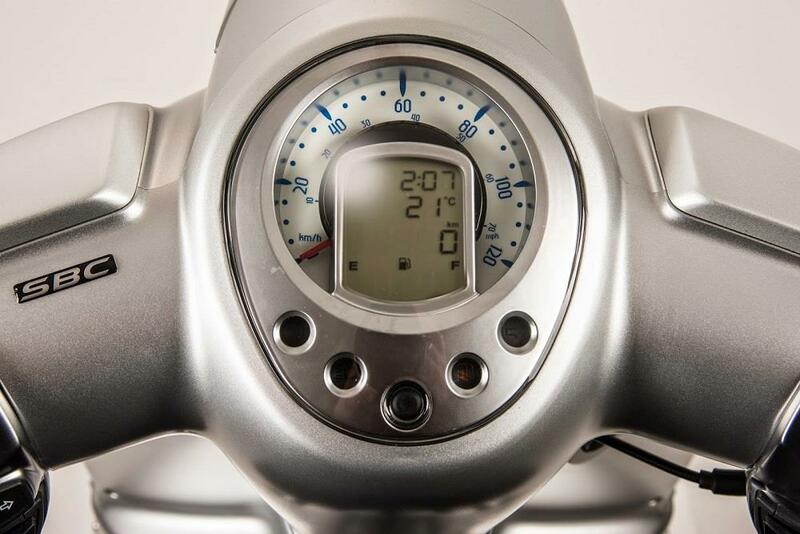 Peugeot has added the option of a larger 150cc engine variant to the retro-modern Django scooter range which will run alongside the existing 125cc version. The new 150cc engine produces 10% more power than the 125cc version. The Peugeot Django range is inspired by the S57C scooter of 1958 and combines 1950s styling with modern technology and is powered by a fuel-efficient four-stroke engine. The Django has LED indicators front and rear, LED rear light but combines it with a classic analogue speed but with LCD screen display and trip computer. Peugeot's press release explains: "Prices start at £2599 for the Django Heritage 150, which is available in a choice of four retro monochrome colours, with white wheel rims, double stitched dual seat and aluminium passenger hand-grips. At £2899, the Sport 150 is equipped with Synchro Braking Control (SBC), which distributes braking effort simultaneously between the front and rear 200mm disc brakes, for controlled and balanced stopping power. 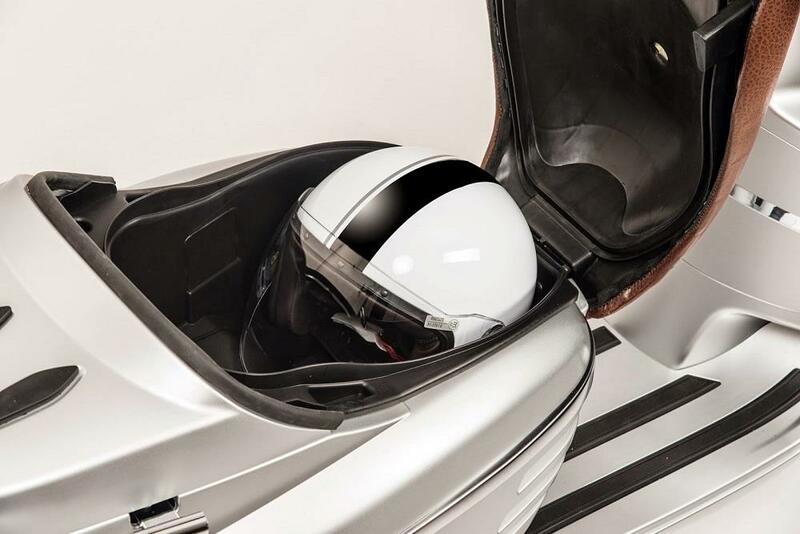 Its dual seat has a removable colour-matched passenger seat cowl and chrome hand-grip too. 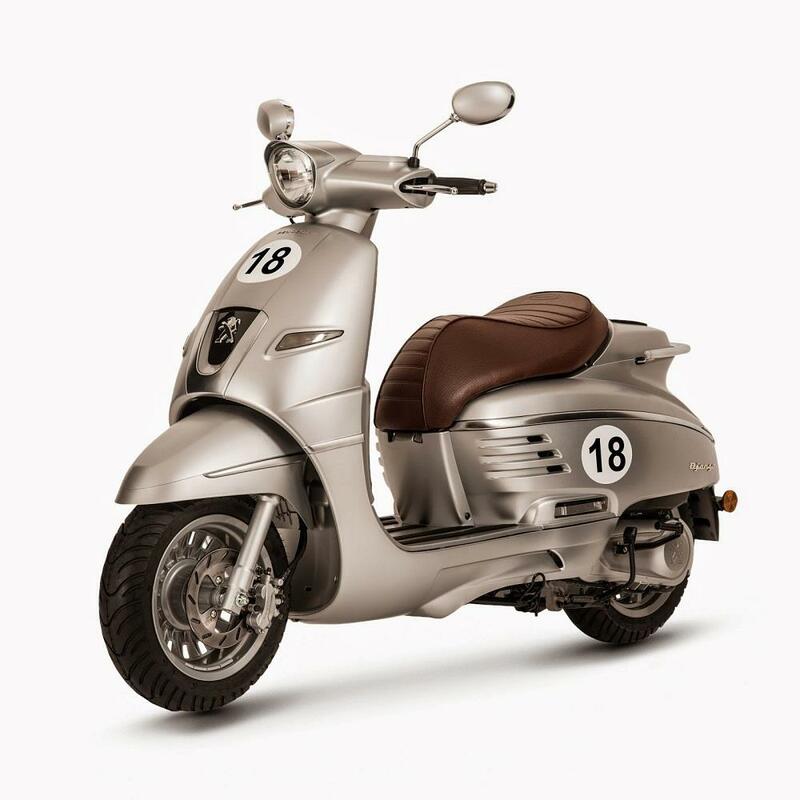 The Evasion 150 comes in a variety of two-tone colour schemes, with white wheel rims and white-wall tyres. Fitted with a fly screen and chrome front luggage rack as standard the Evasion also has SBC linked brakes and sells for £2899. Topping the range is the Allure 150, with two-tone bodywork, fly screen, white-wall tyres, three-tone seat and SBC braking. In addition, the Allure comes with a colour-matched top-case, passenger back-rest and chrome rear luggage rack as standard, selling for £3099. The Peugeot Django 150 can be ridden on an A2 motorcycle licence and is covered by a two-year unlimited mileage parts & labour warranty." Suzuki's fuel cell scooter gets mass-production approval - but should you want one? "Take the straightforward YBR125 commuter and customize it a bit with high bars, more chrome and a lower seat"